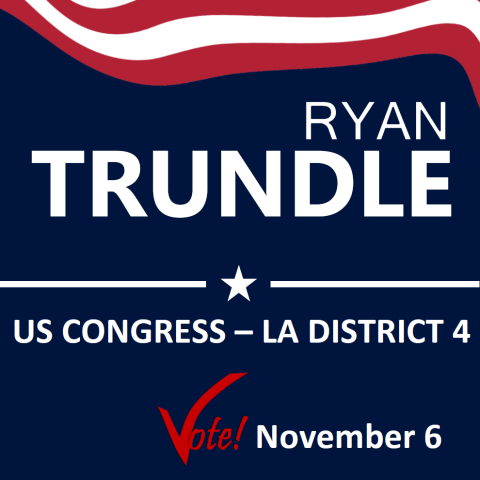 Congressional candidate Ryan Trundle is meeting steadily with with a wide variety of people, like oil field workers and black neighborhood groups, in his quest to become their representative in Congress. Trundle's extensive background in environmental activism, his awareness of health care issues, his understanding of the need for employment and equal justice in the community has driven him to seek the role of Congressman. 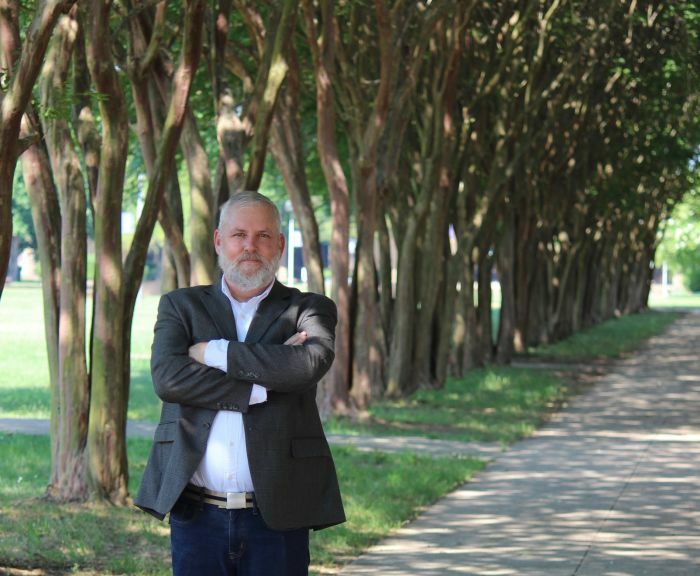 Ryan Trundle has lived in Shreveport for the past twenty years. A single father of 2 teenage daughters, he is invested in the struggle to make Louisiana a better place to live. In 1999, Ryan moved to Natchitoches and one year later, to Shreveport, where he was a beverage supervisor at the Isle of Capri Casino. He worked there for five years. When the casino was sold, Ryan moved to a Dodge dealership, where he was shop foreman in the service department. In 2016, Ryan worked as a political data manager for Bernie Sanders. He helped develop and manage a successful peer-to-peer texting program while recruiting and training more than a thousand volunteers. Locally, Ryan led the Green Progressives of Shreveport, North Louisiana for Earth and Climate Justice and was a Greenpeace group leader. Statewide, he worked primarily with 350.org , Louisiana Bucket Brigade, and Bold Louisiana. While traveling the State, speaking at meetings and helping others establish progressive groups, Ryan explains that he has found a common thread. The most common and most heartbreaking is hearing people who thought they were all alone in their community, fighting for the environment. No one outside their community knows about specific local issues such as clear cutting old-growth Cypress trees in Monroe, a hazardous waste plant in Colfax poisoning the community, polluted tap water (300 LA cities) or a proposed creosote plant north of Shreveport. "The future isn’t just collaborating with other environmental groups, though. It is teaming up with neighborhood groups teaching biology and ecology. It is working with parolee rehabilitation centers registering people to vote. It is being a bridge between renewable energy companies and oil field workers, going to their work camps and handing out clean energy job lists. It is creating a voice of conservation louder than the voice of opposing lobbyists, all of which I am working towards, collaborating with All Streets All People (ASAP), Voice of the Experienced (VOTE), the Louisiana Democratic Party, Allendale Strong, Hope House, the ACLU and many others," says Ryan.